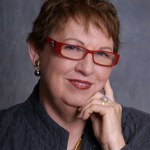 Carol’s Lesson: Examine what a certification is, how it is applicable in today’s business, and who should get one. A certification is a formal process whereby a community of knowledgeable, experienced, and skilled representatives of an organization, such as the International Council on Systems Engineering (INCOSE or B Corp), provides formal recognition that a person, (or program or organization) for having achieved competency, proficiency or attainment in specific areas (demonstrated by education, experience, and knowledge). 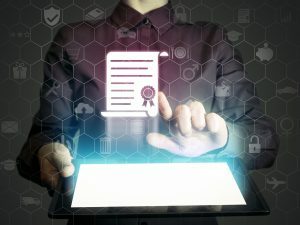 Certification differs from a “license” that is a permission granted by a government entity for a person to practice within its regulatory boundaries. Certification also differs from a “certificate” that documents the successful completion of a training or education program. Certification also differs from a license to use” which related to materials for which the licensee pays the licensee for use in their own business. Teacher training became available in the 1820s in what were the secondary schools of today. This training was created because women were forbidden to enter the men’s preparatory schools, thus, these academies were their only resort. A private “normal” school, created solely for the purpose of administering a two-year course of instruction for teachers, was opened in 1823, by Samuel R. Hall. The state of Massachusetts followed with a government funded public Normal school in 1839. Henry Barnard (Connecticut lawyer/legislator) and Horace Mann (Massachusetts lawyer/legislator) were passionately interested in improvements to the school system, fostered a rapid growth in the number of Normal schools in the late 1800s. Their emphasis, however, was on elementary school teachers, and training for those at the secondary level, was still the province of liberal arts colleges, and would remain so until after World War II when rising school attendance demanded more teachers than the colleges were turning out. Supplementing the regular Normal schools, were “county normals” and teacher’s institutes, some of which remained as alternative training methods beyond the turn of the century. Normals would put on “summer schools”- short, intensive periods of teacher instruction, whereby a promising student could supplement their basic schooling with additional skills and enter the school system. County Normals, often sponsored by the County School board, and staffed by an academic’s master and a practical instructor, offered the budding teacher who couldn’t afford even institute training, the opportunity to get their training for free. Catholic Church used the concept of “schools” through indulgences and pilgrimages. Indulgences were ‘certificates’ produced in bulk that had been pre-signed by the pope which pardoned a person’s sins and gave you access to heaven. Basically, if you knew that you had sinned you would wait until a pardoner was in your region selling an indulgence and purchase one as the pope, being God’s representative on Earth, would forgive your sins and you would be pardoned. This industry was later expanded to allow people to buy an indulgence for a dead relative who might be in purgatory or Hell and relieve that relative of his sins. By doing this you would be seen by the Catholic Church of committing a Christian act and this would elevate your status in the eyes of God. Pilgrimages were very much supported by the Catholic Church as a pilgrim would end up at a place of worship that was owned by the Catholic Church and money could be made by the sale of badges, holy water, certificates to prove you had been etc. and completed your journey. Nearly 100 years ago, after rulers were no longer, churches lost power, and people had become enamored of technology and science, a new source is known as behaviorism arose. John Watson, who coined behaviorism, told us that if you could study it with the scientific method, e.g. the study of rats and other versions of fixed variable method, then it was not knowable. And in fact, humans could not study themselves. And you could not study the mind because no instrument could see it at work. So, it required third parties and external methods. This ignored completely that— all the hypothesis, forming of method, collecting of data and interpreting of data/information was done with the mind Watson had said could not be trusted. He brought deeply into to science the cognitive admonitions of self-examination. Although the ancient sages and teachers like Socrates said this was the only way to study. Even modern brain science is still barreling along this path with an fMRI doing the examination with neuroscientist using the same admonition forward. Use third party people and mechanisms. A Story out of Holland serves to demonstrate the effects of certification, Erasmus of Rotterdam raise up a revolution one which Martin Luther build, against the church for making money off the poor, everyone but took from the poor, to certify they could get into heaven. It is the earliest known source of third-party certification that enriches the certifier with power and wealth and often fame beyond the grave. The church was forbidding the exercise of human reason. In fact, thinking for yourself was deemed heretical. It was heresy to have an idea of your own. To claim the power of discernment to ones was cause for eternal damnation. You needed a certificate. To be certified that you were not a heretic and accepted the teaching of the elders of the church. Rather than cruel intentions, such as those practiced in the past, it is more a matter of following a centuries-old pattern unexamined. Plus, an alternative paradigm and epistemology that is needed to build full human expression, which we also need to have a viable planet and society. Humans cannot play their role discerning what a forest or Life-shed needs or ascertaining what it takes to make society work for all. The capability does not exist. This is inherent in the toxic nature of certification and other Third-Party processes like feedback. There are seven limiters that predict toxicity. Making the brain work improperly. It is inherent in the design of the certification even if you work to correct the seven I will list today. It is inherent in any 3rd party process and anything that does not build capability in individuals to discern for themselves and about themselves. Unchallengeable in order to belong. The certifications are offered as truth, the way toward the light. Because there is no engagement in how it came about or tested it validity, the organizations are doing people’s thinking for them. This decreases the capacity of people to do this for themselves. There are no challenges to the premises which is what they are. Everything else stands on them. Further they are rarely if ever tested and evolved as critical thinking processes. It is more incremental when change is made and most often they are downgraded in terms of rigor to be more inclusive to bring in more people. Require the idea of experts and final answers. They don’t invite the discernment capacity that exists in all of us. The third party has the knowledge and expertise and you are assumed to be unable to gain it. In the same way birth, marriage and professional certificates bound off who can be in the club, a certification does. The exclusion tends to be protective of the members in the certified community, not those they serve. Particularly anyone who has a paradigm difference. Since the industrial revolution and advent of mass production, computers and the internet as well as modern scientific method, we have moved increasingly toward a fragmented mind. We say, without even pausing, that if we don’t understand something, we need to break it down into its simplest parts. That is like saying, if you don’t understand how a frog works, you don’t observe in in life, but instead dissect and label the parts leading to extrapolating to a metaphoric knowledge of legs we know. And then maybe we dissect into even small aspects. We can know the names of parts, but not understand the working of the frog until we observe and imaging it at work in a habitat within an ecosystem. You have to think like a frog to understand frog and imaging it ‘working’. The fifth toxic input is a process that is necessary to create any certification you have to develop ideals to shot for. Besides the fact that this is fragmenting it is the premise of a Utopia always from the frame of a culture. John Mohawk, who is Mohawk tribal member of the Seneca Nation and Associate Professor of History exposes the skeletons in the closet of Western political and religious Utopias build on a set of ideals. These are imposed on other cultures in the name of “doing good” and colonizing the land and minds of the people it absorbs in the process. Mohawk points out that “Utopia” means ‘literally “no place” or some future existence. It ignores current stories and lives often using military or brainwashing to normalize their ideas. We think we are ok here since the new certification substitute some ‘good ideas’ for the bad ones of the past. But all impose and colonize without awareness of their own paradigm and Worldview. You are preview all the certifications and people pay attention to the list and ignore the rest. You have heard about schools that have testing and certifications based on a test. Then we know the teachers ‘teach to the test”. That is, they want people to pass the test so the teach what is needed on the test and pre-test people on what will be on the test to ensure the pass the test. The teachers are judged on how many of their students pass the test. That happens with certification. Is the challenge of the unexamined biases that are embedded. Not only cultural and paradigm but personal biases of seeking to prove we are right. They get embedded into certifications and if interviews are involved, into that process as well. Measured obfuscate, which is what a certification is. A measure of your ability to match our ideals. They obfuscate the essence of a business, the essence of employees, the whole of a community and place. Business Second Opinion Podcast_ This set of Show Notes is an overview of Business Second Opinion Podcast #115. Available where you listen to podcasts including iTunes, Audio Boom, Stitcher. Or the website.